These Standoff Signs are for 22" x 28" Posters! Additional Sizes are Available for Purchase on this Site! 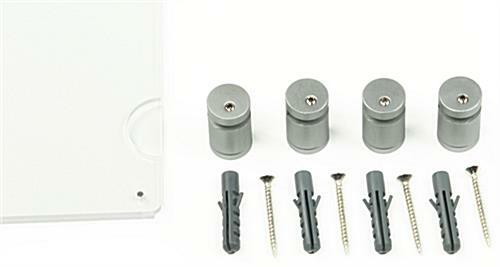 These Standoff Signs will Ship Fast from this Retailer when In Stock! These standoff signs are for one 22" x 28" print. This is a great size to attract attention even in busy shops. 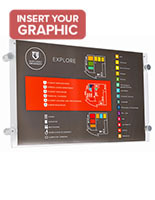 These large format signage holders are standoff signs that have(2) magnets on the top of each acrylic panel to hold the unit closed. This POS display is made for fast updates. Users can change out the signage in these standoff signs without having to take the unit off the wall. These standoff signs work with prints in vertical format only. Each poster display is for exhibiting prints on a wall. 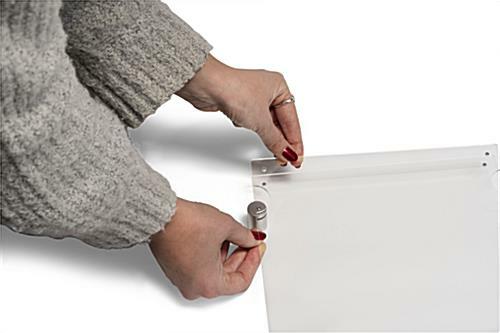 These ad holders are standoff signs with mounting hardware included for user convenience. See the instructions below for details on how to mount the frame on a wall. These standoff signs, known as acrylic panels, have a satin silver anodized finish on the aluminum supports. 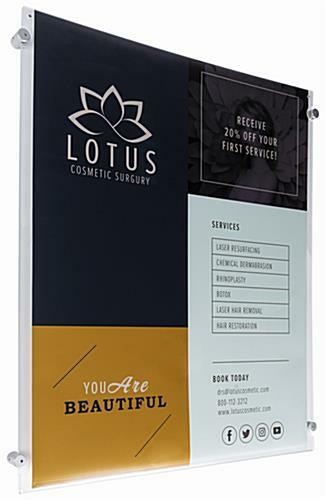 This wall mounting sign display comes with a clear acrylic panel that can hold any type of paper. These standoff signs are perfect for any type of business. 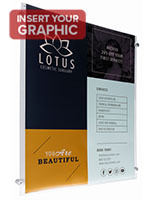 This poster holder is inexpensive for any sized marketing budget. 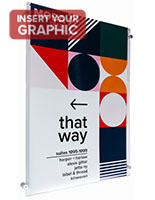 This acrylic panel is a great choice for communicating with clients in a business. Each sign display is mainly used for sales flyers, promoting new fashion lines, and more. These poster displays are standoff signs that are great for high end stores, museums, as well as restaurants, and lobbies. 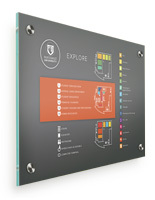 The acrylic panels can display a poster in any indoor establishment.